Despite an investigation last year that revealed disturbing elephant abuse at a resort in Malaysia, the nine elephants there are still suffering, according to a report. A'Famosa Resort in Malacca is a well-known tourist spot, famous for its cadre of zoo animals -- and for its controversies. In addition to the elephant investigation, which showed handlers beating elephants with bullhooks, another expose revealed a tiger being mistreated and sedated in 2010. 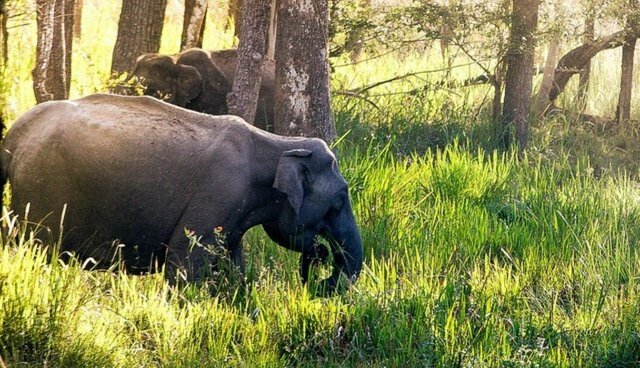 The Malaysian Wildlife Conservation Act 2010 has specific clauses meant to protect captive animals from such enslavement and confinement, yet these elephants are far from being able to exhibit natural, normal behaviour as the law stipulates. From what we see, close to nothing has been done to help A'Famosa's elephants by Perhilitan or their bosses at the Natural Resources and Environment (NRE) Ministry. MFOTA and others are urging tourists to boycott A'Famosa Resort and others like it -- often many tourist attractions that offer Asian elephant rides are unregulated and substandard. And carrying people on their backs all day long can lead to permanent spinal damage for elephants. Learn more about elephant tourism and responsible ecotourism here.